The Birmingham school at the centre of a row about teaching LGBT rights says it will not resume the lessons until a resolution has been reached with angry parents. At last common sense kicks in! I’m saying this because I was in Britain’s second largest city last week on an entirely different issue when the brouhaha of Parkfield Community School was raised. I just assumed, because of the way media had reported the affair, that the weekly protests against the classes held outside the gates of the school were because angry parents did not want their kids learning about LGBT issues. Now it transpires, having spoken to some of the parents, that they were never fully consulted about the ins and outs of the subject. Instead, it seems high handed staff ‘told’ parents what would be happening without fully consulting them. 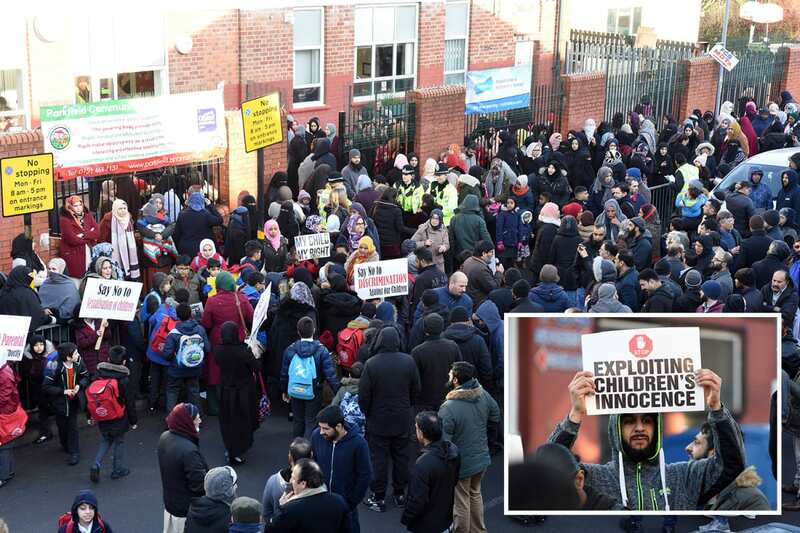 As a result, Islamophobic media jumped into the row and before they knew it, some parents had been demonised and wrongly accused of being homophobic and anti-gay rights. Thanks to a common-sense intervention the school has stepped off its high horse and pledged to work with parents to “find a solution”. In response, parents called off planned protests. Whatever the outcome, the children will have learned a valuable lesson from the adult – it’s always better to sit down and talk instead of point fingers and shout!